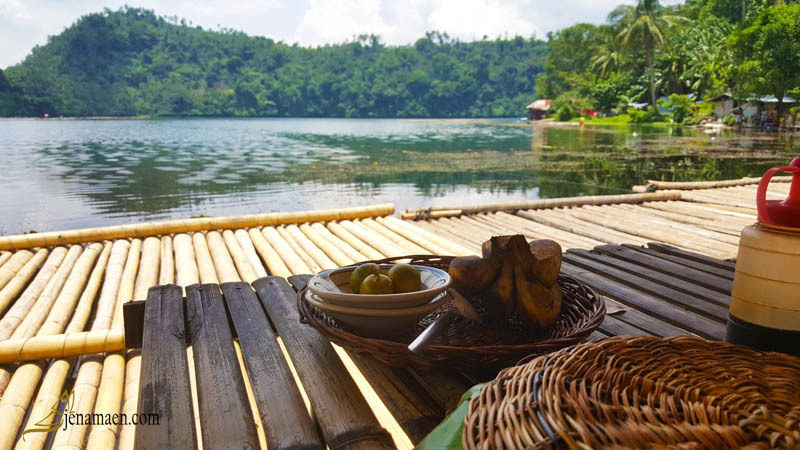 Imagine yourself away from the noise of the city and dining in the midst of a lake, surrounded by lush, green mountains, so all you can hear is the splash of the waters beneath and swishing of the breeze as your little balsa glides its way to the middle of the lake. Well, you don't have to dream any longer. Because Lake Pandin already has it for you. 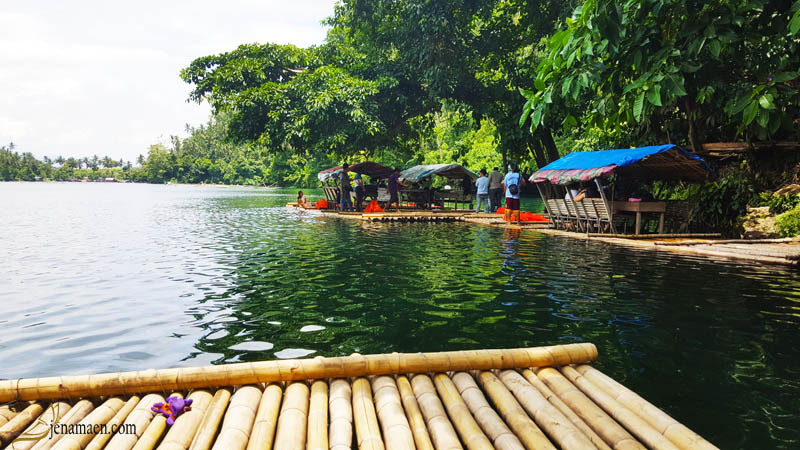 Located approximately 2 to 3 hours from Manila (and interestingly the same approximate time if you're coming from the south), San Pablo, Laguna boasts of its 7 lakes - 2 of which are more popular than the rest because of its supposedly clean state - the twin lake of Yambo and Pandin. 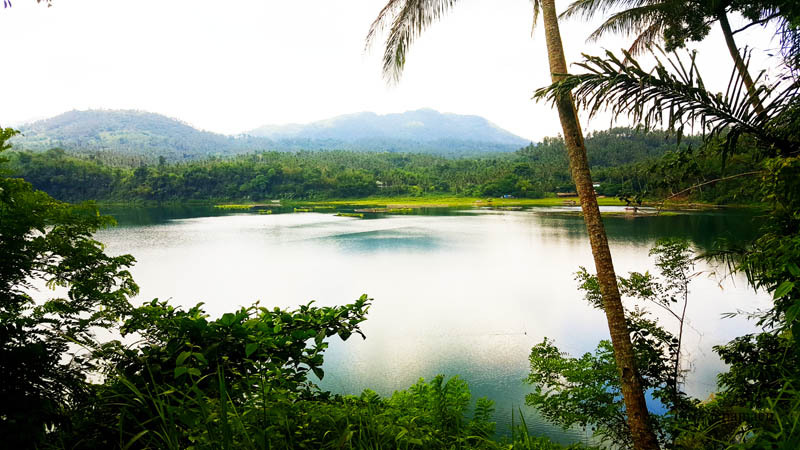 Lake Pandin, specifically, has been developed into a tourist destination operated by the locals residing in the area. This stunning view welcomes you after you walk about 10-15 minutes mini hike (depending on your speed) from the parking area to the main lake. The balsa serve as the main dining area, each could accommodate up to 15 people. 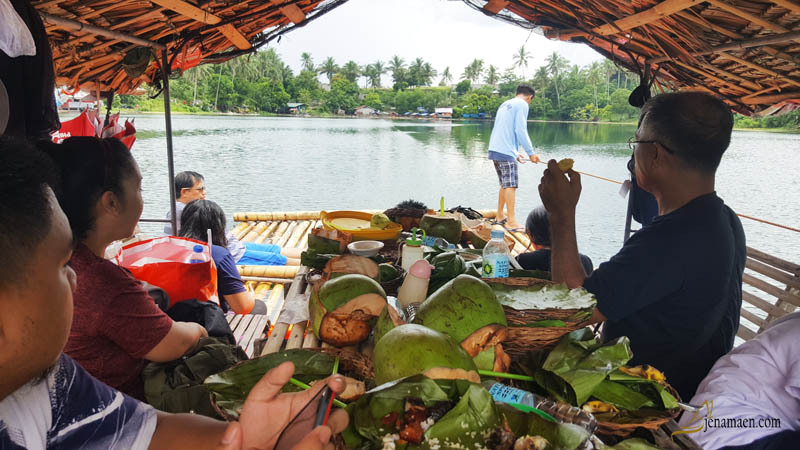 As the balsa drifts smoothly upon the lake, the designated fishing area where they culture fish can be seen on the side. Upon boarding the balsa, your food will be prepared already. Their menu is already pre-selected so no need for extensive menu selections. 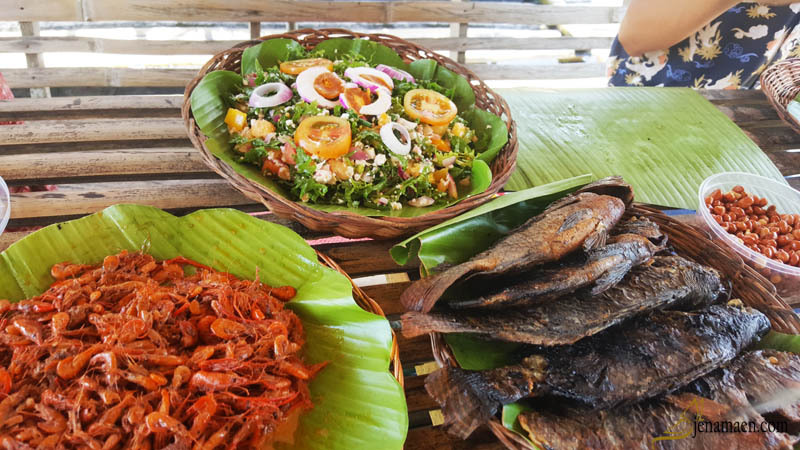 Shrimp, Fish, and Fern with Red Egg salad along with coconut water in the shell - it's the ultimate comfort food for the beach or tropical dining. And as with any other table setting, this was our 'calm-before-the-storm'. Yes, the menu comes with a fruit of the season so you definitely have a complete meal before you. Eventually, you will reach the other end of the lake. And if you happen to have too many visitors ahead of you, you will have balsa queue, before you could relax under the tree-shaded area, where a lone tire swing hangs. As you can see, this view seems like the perfect scene to spend the rest of your 2-hour dining experience. 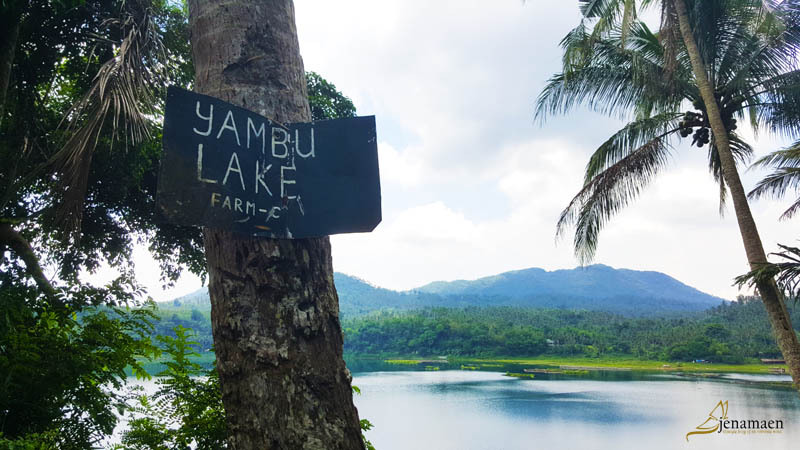 As you wait, you may want to take a 3-minute hike up the hill to see the Lake Yambu, just across the hill. This is our 'after-the-storm' table scene. And you can also see the local guide pulling a robe. That is used instead of a paddle for the balsa to easily cross the lake, dodging the strong wind and current if there are any. There's no entrance fee, but the price per head, for the meal and the use of the balsa, is Php 360. For additional meat viand, Php 40 can be added. 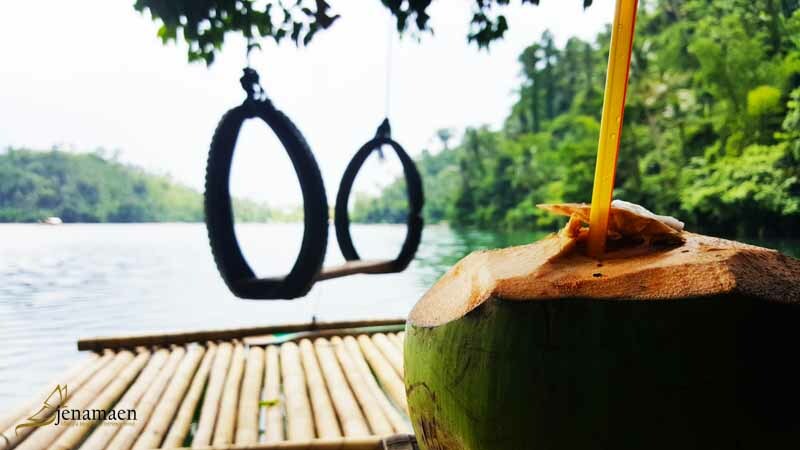 A bottle of water is included in the meal, but if you want to have a different one, like soda or coconut water in the shell, additional payment is required. The parking fee was supposedly free but the second time we went there, we were charged Php 50 before we left. Keep that in mind, just in case. There's a restroom provided with a fee for maintenance. Wearing of life vest is required, especially if you want to go into the water. Please don't give the local guides a hard time by being hard-headed and removing the vest with the justification that you can swim. Give them respect and follow their rules, it's for everyone's safety anyway. 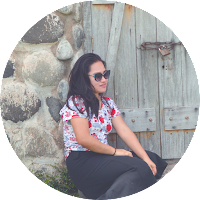 Care to share your own experiences in Lake Pandin too? Let's discuss it below. I would love to hear what you have to say!